Draco had a great time catching up with clients and industry contacts at API's 7th Biennial Inspection Summit in Galveston, TX last week. This industry event draws attendees from across the country and world. We were thrilled to see an increased focus on the application of technology in the industry. Draco celebrates the holiday season with the Greater Houston ASNT chapter at GHASNT's annual holiday party this week. Wishing all a safe and happy holiday season. Mark Fernandez leads the Draco team in designing Draco's mechanical integrity and turnaround supply Warehouse. A huge thanks to Mark for a fun project and an efficient design! Draco Global Solutions is excited to announce that Draco Metallurgical Labs is open for business! Draco Labs is centrally located in Deer Park, Texas and has been onsite since Draco opened its doors in September, 2013. Draco Labs has undergone updating under the direction of industry gurus bringing over eight decades of metallurgical lab expertise to our Deer Park facility. To help clients optimize resources, Draco Labs expedites your materials issues and delivers solutions using state of the art equipment and metallurgical expertise. Services include Failure Analysis (analysis of materials, metallurgical investigation, corrosion investigation), Metallurgical Assessments and Materials Selections. 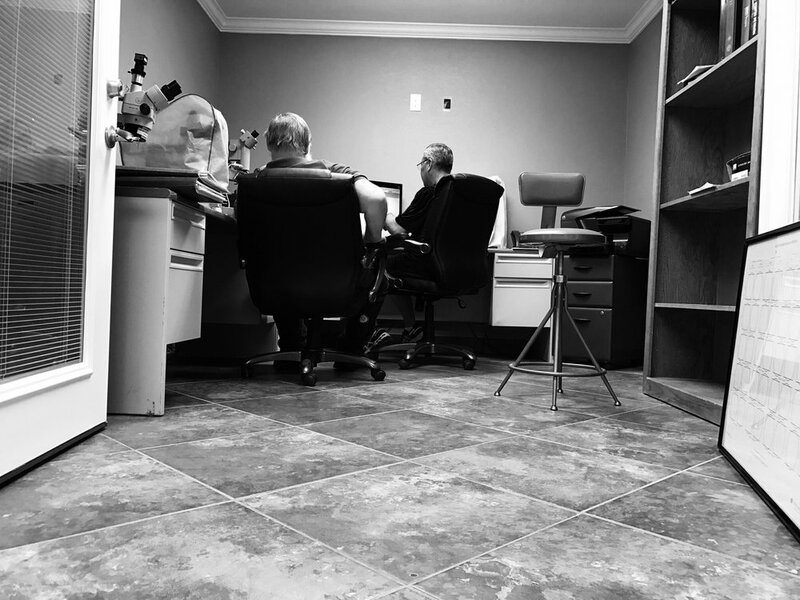 Laboratory capabilities include: Positive Material Identification, Brinell, Rockwell and Vickers Hardness Testing, Metallographic Specimen Preparation, Grain Size, Macroetching and Microetching. Last week Draco attended the NACE Corrosion Technology Week in Houston. It was a great opportunity to reconnect with many industry friends both locally and from across the country. The industry information exchange was a great forum for sharing best practices and Draco enjoyed participating in the review of NACE SP0176. CORROSION 2017 is in March and located in New Orleans. Draco is pleased to have the opportunity to serve on the advisory committee for the San Jacinto college non-destructive testing technology department. Industry leaders joined last week to review and approve the curriculum for applied science programs.